Amid growing concern internationally on the use of financial centres to hide illicit funds or evade taxes, Singapore has initiated stringent efforts to ensure that the country remains a clean and trusted financial centre. Steps to combat cross-border tax crimes. Laundering proceeds of tax evasion and tax fraud is now a crime in Singapore, effective 1 July. Financial Institutions are required to conduct customer due diligence to deter and detect proceeds from serious foreign tax offences, even if they are not offences in Singapore. In May, Singapore signed the OECD Multilateral Convention on Mutual Administrative Assistance in Tax Matters, in order to enhance the international cooperation on the exchange of tax related information. Proposal to amend the Income Tax Act so as to allow the Inland Revenue Authority of Singapore (IRAS) to obtain bank and trust information from financial institutions without having to seek a court order. Conclude with US an inter-governmental agreement that will facilitate financial institutions in Singapore to comply with the Foreign Account Tax Compliance Act, a US law which requires all financial institutions outside of the US to pass information about financial accounts held by US persons to the US Inland Revenue Service on a regular basis. Of these, Menon cited two examples where financial institutions with control deficiencies were firmly dealt with by MAS. “A bank which facilitated ship-closing transactions, did not conduct adequate due diligence on the final identity of buyers behind these transactions. MAS ordered the bank to commission an independent audit of its AML/CFT controls, which uncovered serious control weaknesses and compliance failures. We imposed a composition sum of S$350,000 on the bank,” he said. “MAS will not tolerate abuse of our financial system for criminal activity. Our message to tax criminals is loud and clear: their money is not welcome in Singapore. And our message to our financial institutions is also loud and clear: if you suspect the money is not clean, don’t take it,” Menon reiterated. Prime Minister of Singapore, Lee Hsien Loong, took strong exception to this during his three-day visit to India and clarified the matter with his Indian counterpart Manmohan Singh. 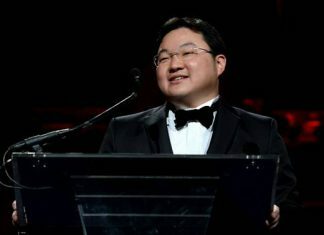 Lee also asserted to the local media that neither Singapore has any interest in being a money-laundering centre nor would any shady money wants to come to the city-state. “I think shady money would rather go somewhere else rather than risk being scrutinized by our regulators,” he said. Last year in October, Germany and Singapore had agreed to enhance their cooperation in tax matters to tackle cross-border tax evasion and bolster their double-taxation agreement with internationally agreed standards on information sharing. This came after US and various European regulators have starting clamping on tax cheats by pressuring Switzerland, considered a traditional tax haven, to disclose information about their citizens’ deposits in Swiss banks, resulting in people looking for other tax-friendly places such as Singapore. Allegations that Myanmar’s former military junta has stashed billions of dollars in Singapore keep surfacing every now and then, which always attract strong rebuttals from both Myanmar and Singapore governments. Also, the banks in question – Overseas Chinese Banking Corporation and DBS Group— have always denied such allegations. So, it came as a surprise to many when on September 20, Kyaw Kyaw Maung, Myanmar’s Central Bank chairman, Soe Thein, a minister in the President’s Office, and Myint Zaw, the deputy energy minister, confirmed that their government holds US$ 7.6 billion of foreign reserves in overseas bank accounts, while declining to give further details regarding the locations and banks in which these funds are held.